I was wondering if you could help me locate this beautiful bag Halle Berry is carrying in these photos. I want it badly. I'll forever be in your debt. Not a problem Betthany. I love Halle's choice of bags because they're always classy and timeless. You'll hardly ever see her with anything trendy. 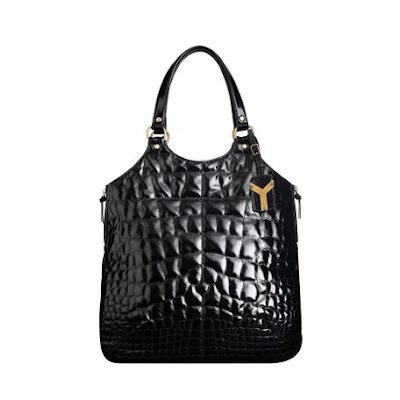 She's carrying this awesome tote from Yves Saint Laurent below. Nice price tag to go along with it! But I ain't mad at cha Betthany!